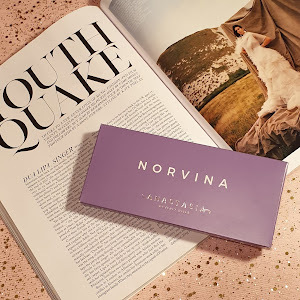 The Miracle Complexion sponge is a bit more expensive compared to some other makeup sponges that are selling in our local drugstores and holds the price of 10€ (600 denars). 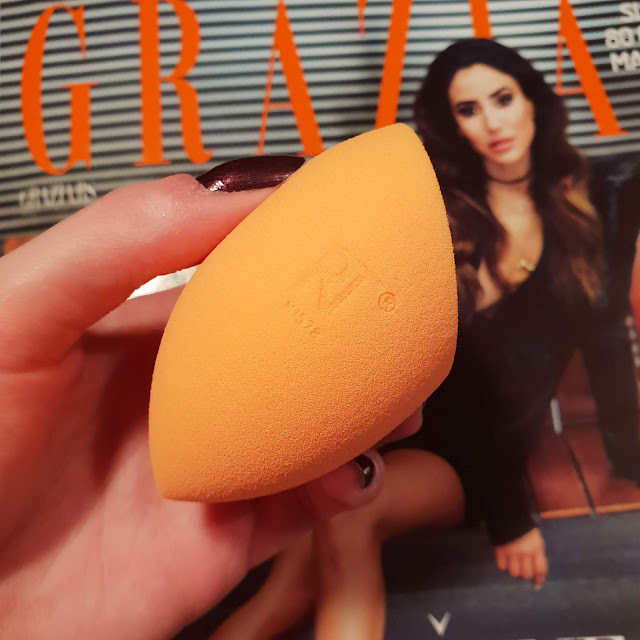 Price-wise compared to the Beauty Blender sponge it is still a bit more affordable (15€). When it comes to the application part and how you should properly use this sponge there is really no specific guide you need to follow. Use it dry or wet (dampened), what ever you feel is the best approach. 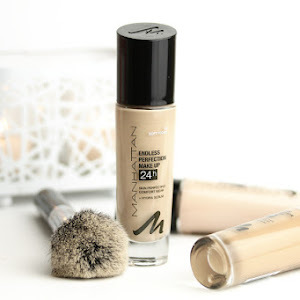 I've used this sponge wet for almost a year now since purchasing like 10 packages of double sponges online throughout the year, but recently I found that I prefer to use the Miracle Complexion sponge dry. When the sponge is wet it gives of a wetter look on the skin as well, so I wanted to change things up a bit. I adore the specific shape of the sponge. 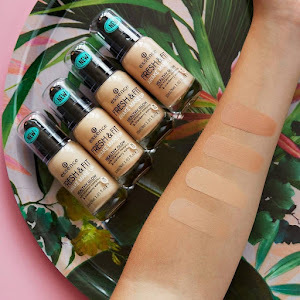 With the tip you can easily cover small corners under the eyes or along the nostrils and with the flat part you can apply foundation and concealer so well on the rest of the face. The sponge is soft and slightly less airy than the Beauty blender (which I love!). I noticed throughout many uses that both dabbing and swiping works well. 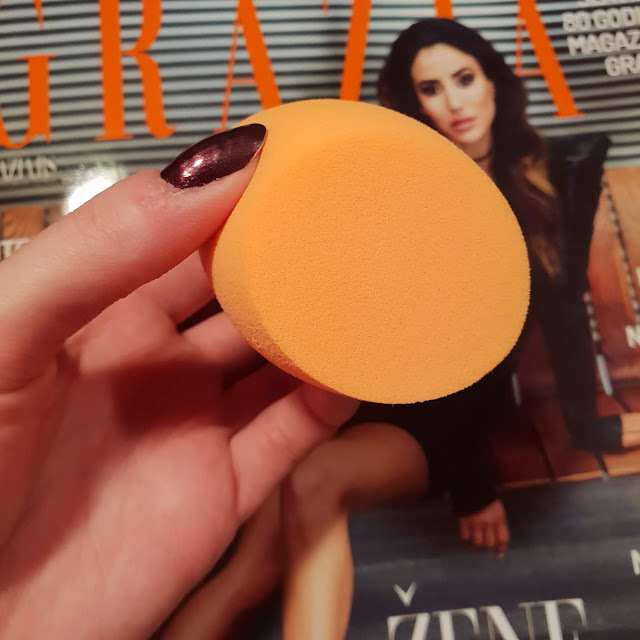 The sponge absorbs some foundation, but not that much when you compare it to cheaper drugstore makeup sponges. When you are finished using your Miracle Complexion sponge you can easily clean it with some lukewarm water and baby shampoo or use a Dove hand soap and warm water as I like to do. 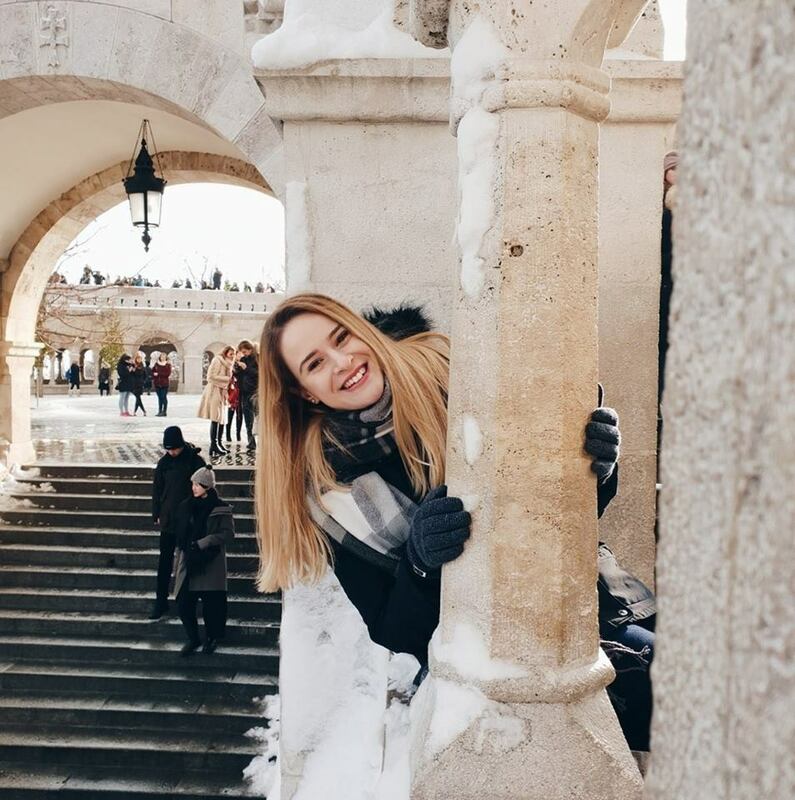 Be careful when cleaning the sponge, if you pinch and rub too rough small cracks may occur and you'll need to replace your sponge sooner rather then later. 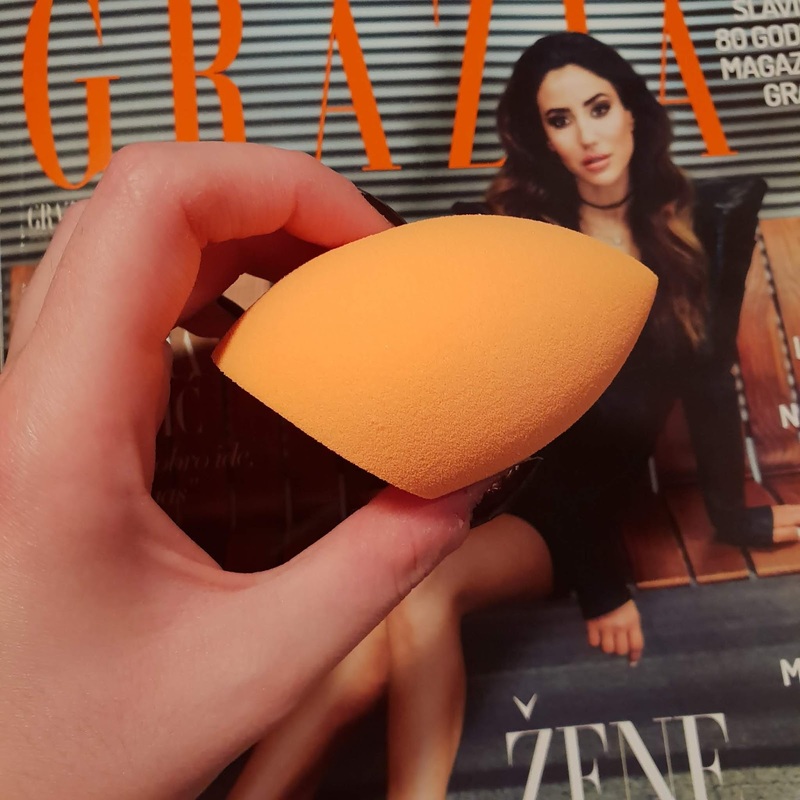 I love this Real Techniques sponge so much that I dare even say that it is so much better than the original Beauty Blender sponge. The shape is better, each side has it's purpose, the feel of it in my hands especially when I'm cleaning it is so nice, soft and luxurious to the touch. 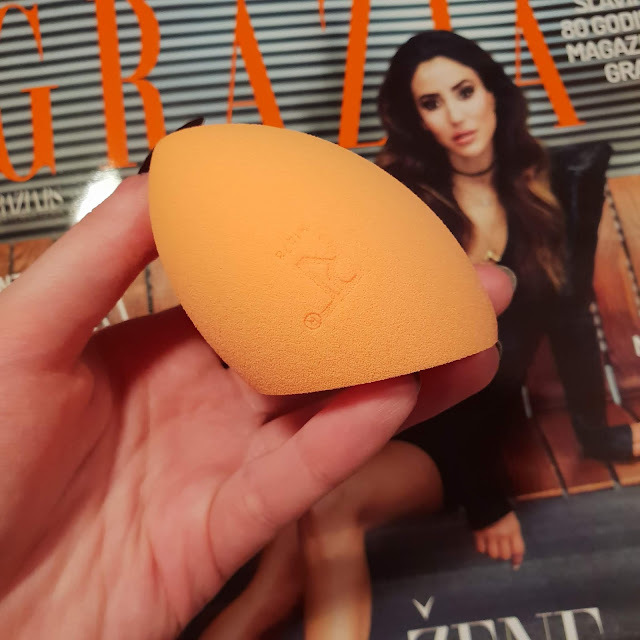 This unique makeup tool is a serious competitor to the Beauty Blender and would recommend it to all of you who have the money to spend on it because it is so worth the purchase!